If you’re going to ride all year round, you’re going to deal with darkness. If you’re prepared it’s a challenge and a thrill. When everything lines up the enveloping night adds an exoticism to rides that can stick in your memory for years. If you’re not prepared, however… well, then it can just be grim. Here’s how to avoid the second one! Gloves and jackets with reflective strips are vital. There’s no good indicating if your arms are functionally invisible, after all… happily there’s no need to dress like a nuclear-powered banana any more either. Many highly reflective jackets and shoes are quite normal looking, yet really light up in headlights. Favor roads you know well. Some hazards are hard to spot when you know they’re there, let alone when you don’t. Also, if you have a problem it’s easier to work out the quickest way back. Tell somebody which route you’re taking or, better still, ride with a friend. There’s a lot to be said for solitude, but there’s also a lot to be said for the benefits of camaraderie, help with mechanical problems, and the safety of numbers. And if your training involves strenuous efforts, stick to well-lit roads where vision is at maximum. Get good lights – not just cheap ‘be seen’ units, and look for at least 500 lumens on the front. They light up unlit lanes, and stand out in busy urban areas. Take care to angle them into a ‘dipped’ position so as not to dazzle or annoy drivers, and go for units which spread light to the side – it lets you be seen at junctions. It’s a very good idea to fit a spare, too. This can be cheaper and less powerful, so long as it still lets you trundle safely home. If you ride off-road as well, light output becomes even more important, but so too do good sealing, secure mounts and a beam with no dark spots. For maximum cornering/gaping hole coverage, add a helmet-mounted lamp. And never leave with just enough juice to scrape through the ride – that’s when mechanicals or other hold-ups most like to strike! 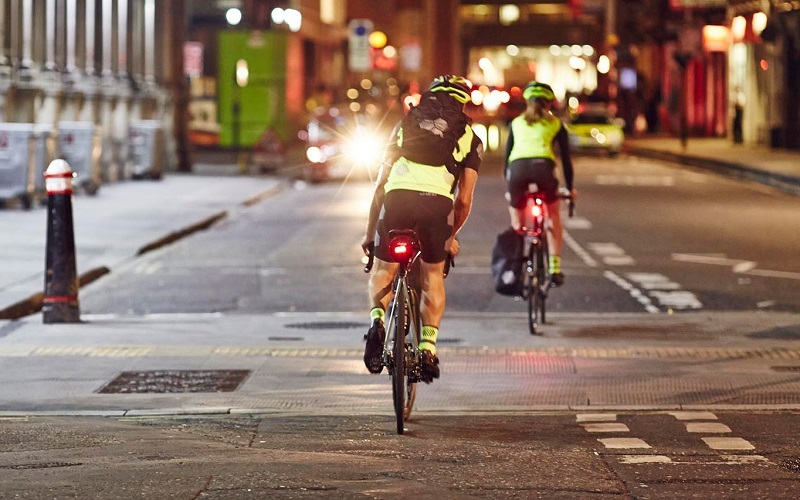 If you’re going away from an area with streetlights, consider two rear lights, and work well spread apart, for example one on your seatpost and another on your helmet, with one flashing and the other shining solidly. Two front lights work in the same way: one on the bike, the second on the rider. Winter tires have thicker carcasses that are far more resistant to sharp objects, while armored sidewalls ward off pinch punctures from potholes and debris impacts. They also have soft rubber to provide confidence-inspiring grip in the wet. Sure, all this means they roll and spin slightly slower, but they’re much faster than fixing a puncture in the dark. Or climbing out of a ditch. 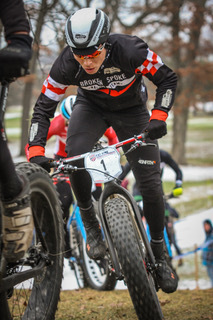 Read more here for road tires, and here for MTB. Wash your bike regularly – as well as freeing it of corrosive grime, it’s the easiest way to spot problems before they bring you to a halt in the middle of nowhere. Keep the chain well-lubed, and check brake pads each time. They can wear very rapidly in the wet. And while darkness needn’t stop you riding, you don’t want to find you actually can’t stop at all.